For some time we have been able to meet a new type of identifying mark that appear alongside the barcode, but also where the bar code never was to be repealed. Unless it is for demonstrating there’s more information that you can easily see with, for example, a special reader on your mobile phone if it’s equipped with a camera. The most famous representative of the new information code is undoubtedly the QR Code format, originating from Japan. Put simply, this is a black and white square grid whose parts are either mixed or solid white. In this way, data can be encoded with any text information and link to the web. The QR code has been used all over, ranging from company invoices, advertising on billboards, but also on the web. This week Microsoft published its response to this established format encoded data. As in the case of PDF vs. XPS, or MP3 vs. WMA, the software giant does not want to remain outside. The new competitor for the QR code is a format Microsoft calls Tag. 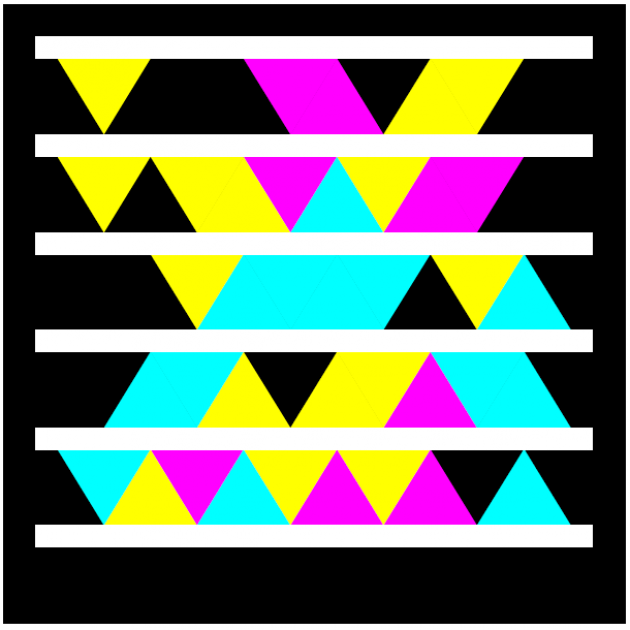 What’s interesting about this format is that it’s not based on black and white markings, but is composed of several triangles. The QR Code can act as an addition to the text, URL, encoded SMS or geographical position. For the latter, one particular use is in Geocaching. Since the QR Code is an open format, there are a number of free tools available to create the code itself. 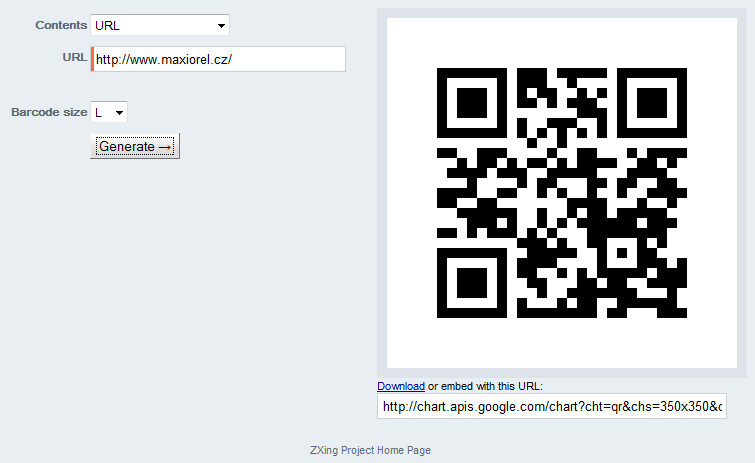 One of the best tools I’ve used is QR Code Generator from ZXing Project. In the drop-down menu, you choose to what content you want to insert a QR code (text, URL, geo, SMS ...), fill in the appropriate boxes and then click Generate. How to create Microsoft Tag? Go to tag.microsoft.com. There you will need to log in with your Windows Live ID and click Sign Up to approve the License Agreement. This will lead you to the administration of Microsoft Tag. Click Create a tag, fill out the form with the title, type (text or URL), tag notes, date and the content of the tag itself. 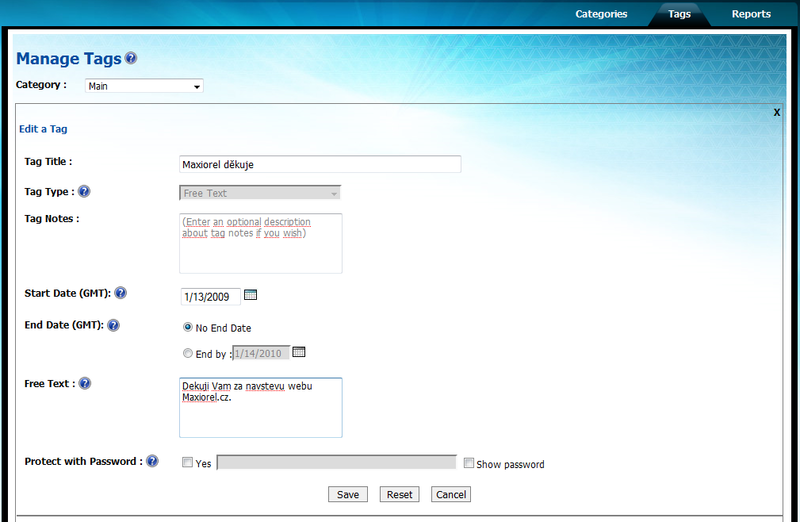 You can protect the tag from being public by entering a password in the last field. Click Save button to save the tag. Microsoft Tag is currently in beta stage, meaning that any number of tags can be Tags can be created. After the tag is created, go back to the list and click Render. Select which format (PDF, WMF, XPS) you want to save the Tag to, the size, and then click Render. When the creation is done your web browser will ask you where to save the tag to. To read QR codes there are a number of free applications available for various platforms, even mobile ones. 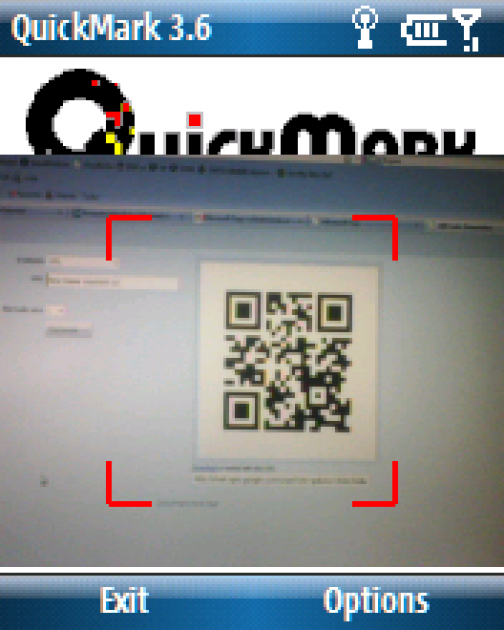 My favorite program is QuickMark for Windows Mobile. 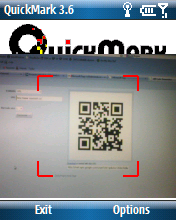 It is extremely simple to use; you scan an image with the built-in camera by using the focus window over the QR code. 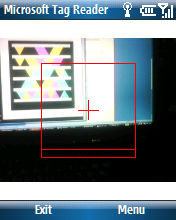 This will show you the contents of the encoded information. If the content is a web link, QuickMark will open the link. For phones without Windows Mobile, you can use an application called Kaywa Reader. How to read Microsoft Tag? For this new format, Microsoft offers the corresponding readers for various mobile phones, supporting Windows Mobile, S60, iPhone and Java. Handhelds like Palm or Android is, however, not yet available. If you enter gettag.mobi in your mobile web browser, you will be able to download Microsoft Tag reader. After installation, when you run the application you will see a guide how to use the reader. 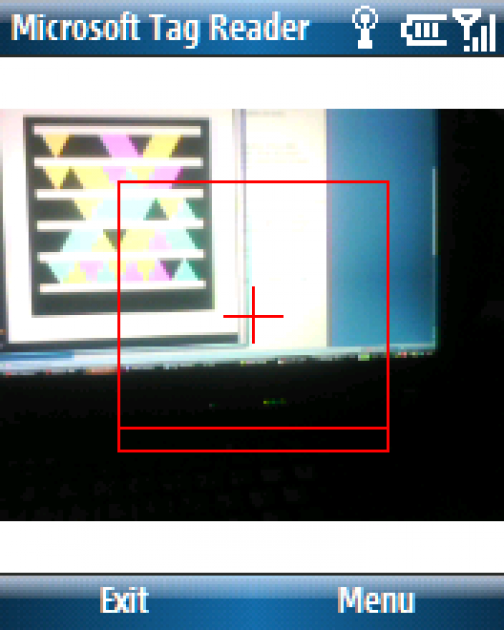 It’s very easy to use since it scans the focus rectangle for a code. When no code is available for the reader, the rectangle goes solid red. If you are using a Windows Mobile phone and use QuickMark and Microsoft Tag Reader at the same time, you must first turn off QuickMark. Otherwise the Tag Reader complains that it cannot gain access to the camera and QuickMark will display random noise (as with an old analog TV with no signal to it). For more detailed information about these codeformats, consult QR Code on Wikipedia and the Microsoft tag FAQ. This article was translated from its Czech version QR Code, Microsoft Tag: znamenají sbohem pro čárový kód?.